Congratulations to the euphonium quartet FivE who recently competed as a division finalist ensemble in the Music Teachers National Association (MTNA) Young Artist Competition – Chamber Music category. Coached by Velvet Brown, the quartet earned this honor after winning Pennsylvania’s MTNA competition in early November. FivE was named "first alternate" to the national competition in the chamber music category. Last year, FivE won second prize in the 2013 Southeast Regional Tuba Euphonium Conference quartet competition and was a quarterfinalist in the Fischoff International Chamber Music Competition. In addition, they will present a full concert - by invitation - at the United States Army Band's Tuba-Euphonium Worskhop on January 31 at Fort Myer in Arlington County, Virginia. Quartet members senior Luke Gall, a music education major and a native of Goochland, Virginia. Luke also participates in Symphonic Wind Ensemble and the Blue Band. Brian Sugrue will graduate with his music education degree in Fall 2014. From Newtown, Pennsylvania, he is a member of the Symphonic Band and the Blue Band. Junior performance major Drew Bonner is from Tamaqua, Pennsylvania. A member of the Symphonic Wind Ensemble, Symphonic Band, and Blue Band, Drew was first runner-up in Euphoniumcommissions.org’s euphonium quartet composition contest. Sophomore Mitchell Mest is a performance major from Boyertown, Pennsylvania. Planning a 2016 graduation, he is a member of the Symphonic Band. Last year, Mitch placed first in the Sertec Young Artist Competition, and was a second-place winner in the Falcone International Euphonium Competition – Young Artist Division. 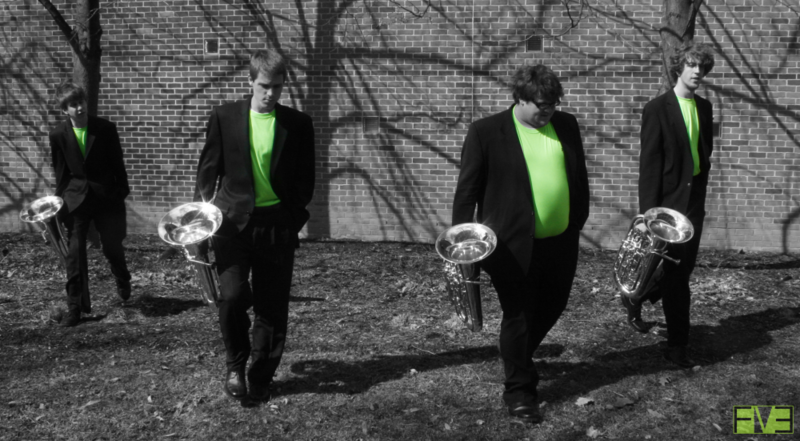 All quartet members are also members of the Penn State Tuba Euphonium Ensemble.